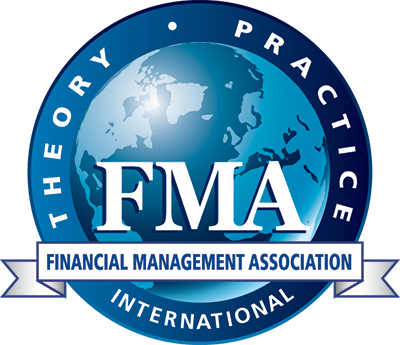 With more than 1,500 finance academicians and practitioners in attendance, FMA Conferences offer opportunities to place your product in front of key leaders of the industry. Each conference offers unique exhibiting and sponsorship opportunities to reach your target audience. *This conference is strictly for undergraduate and MBA level students. Click here or contact Shannon Tompkins at +1.813.974.2084 or [email protected]. Contact Michelle Lui at +1.813.974.2084 or [email protected]. Contact Karen Wright at +1.813.974.2084 or [email protected]. Contact Shannon Tompkins at +1.813.974.2084 or [email protected]. Throughout the academic year, the Financial Management Association International (FMA) distributes six eNewsletters (three per semester) to more than 2,000 undergraduate student members who participate in the association’s 175+ international student chapters. Each eNewsletter contains industry-specific information, news and career resources tailored for students. With an average open rate of 36% (more than the industry average), the FMA Student eNewsletter offers prime advertising real estate to drive students interested in pursuing graduate level training to your program’s website. Advertise job vacancies in FMA's Placement Services Job Board and Resume Bank - the most comprehensive list of doctorally-qualified positions in finance. Click here to learn more about posting a position. Associations and publications may post a brief listing about upcoming finance conferences and call for papers on FMA's Other Conferences webpage at no charge. Click to submit a listing request. Contact FMA at +1.813.974.2084 or [email protected].